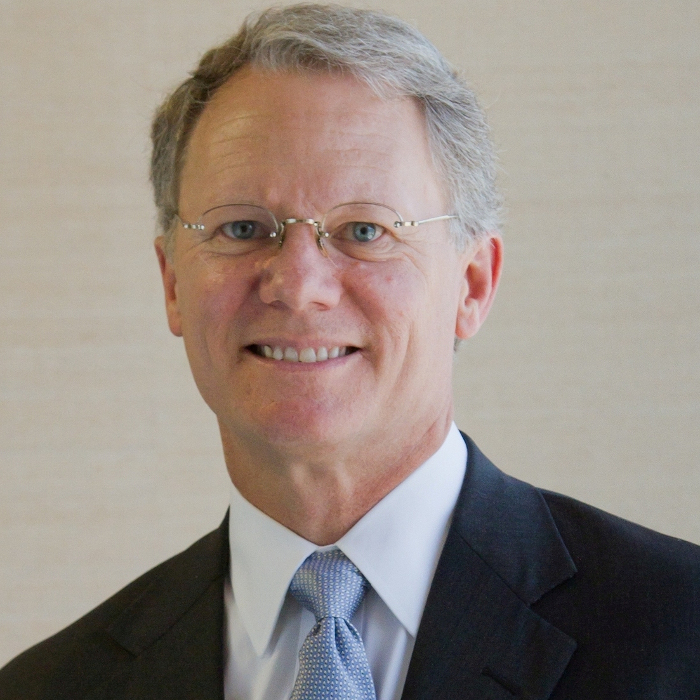 Mr. Quattlebaum is a founding member of Quattlebaum, Grooms & Tull PLLC, in Little Rock. His primary areas of practice are complex business, toxic tort, and products liability litigation. Mr. Quattlebaum has served as lead trial counsel in over 100 trials, including numerous toxic tort, products liability, breach of contract, intellectual property, environmental litigation, securities fraud, franchise disputes, trade secrets, personal injury, and commercial matters. Some of Mr. Quattlebaum’s corporate clients include chemical, pharmaceutical, and automobile manufacturers, wood treatment companies, investment banking institutions, energy companies, major retailers, and medical device companies. Mr. Quattlebaum is a Fellow of the International Academy of Trial Lawyers and the American College of Trial Lawyers and was recently selected as a member of the Lawdragon 500 Leading Lawyers in America for the seventh time. He has been named one of the leading business litigation lawyers in Arkansas by Chambers USA’s Guide to America’s Leading Lawyers for Business since 2003 and Super Lawyers since 2006. 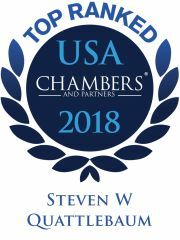 Mr. Quattlebaum has been listed in The Best Lawyers in America® since 2001 and is currently recognized in the areas of Bet-the-Company Litigation, Commercial Litigation, Insurance Law, Mass Tort Litigation/Class Actions – Defendants, Personal Injury Litigation – Defendants, Product Liability Litigation – Defendants, and was named Best Lawyers’ 2014 Little Rock Mass Tort Litigation/Class Actions – Defendants Lawyer of the Year, 2015 Little Rock Personal Injury Litigation – Defendants Lawyer of the Year, and Little Rock Bet-the-Company Litigation Lawyer of the Year in 2013, 2016, and 2019. He is also recognized as a Local Litigation Star for Arkansas in Benchmark Litigation, named one of the Top 50 Super Lawyers in Arkansas by Super Lawyers, recognized by Chambers USA’s Guide to America’s Leading Lawyers for Business in Environmental Litigation, and listed by Who’s Who Legal in the areas of Environmental, Commercial Litigation, and Products Liability Defense. He is rated AV Preeminent® by Martindale-Hubbell. Lead trial counsel in defense of a poultry manufacturer against claims that an additive to poultry feed contained arsenic which caused childhood leukemia. Lead trial counsel in defense of a wood treatment facility against claims brought by several hundred nearby residents claiming damages for personal injuries, property damage, groundwater contamination, and real estate stigma. Trial counsel in defense of a major manufacturer in a personal injury and property damage action brought by 374 residents living near an aluminum recycling plant, who claimed damages for personal injury, medical monitoring, and property damage. The defense of a fertilizer repackaging company in individual, mass tort, and class actions brought by residents of a community claiming damages from exposure to smoke and chemicals generated by an explosion at the fertilizer repackaging facility. Lead trial and appellate counsel in defense of Uniroyal Chemical Ltd. in the Superfund litigation brought by the United States to recover the costs resulting from remediation of the Vertac Chemical Company site. This litigation has been ongoing since 1980 and has involved several trials and appeals. The representation of individuals and corporations in a wide variety of business litigation matters, including cases involving allegations of fraud, breach of contract, deceptive trade practices, franchise act violations, and intentional torts, such as malicious prosecution and abuse of process. The defense of numerous cases in which class action status has been sought in consumer actions, mass tort actions, business claims, and securities litigation. Lead trial counsel in defense of manufacturers of welding consumables in numerous actions involving claims of neurological injury from exposure to welding fumes. The defense of a major herbicide manufacturer in an action involving claims of personal injury and crop damage resulting from allegedly excessive drift propensity of a herbicide. The defense of automobile manufacturers in actions involving claims of defective airbags and seatbelts and other matters. The defense of pharmaceutical and medical device manufacturers, distributors, and retailers in actions involving the efficacy of certain drugs, such as hormone replacement therapy drugs, pain medication, herbal supplements, asthma therapy drugs, and diet drugs, and products such as back screws, breast implants, latex gloves, and artificial hips. The defense of numerous consumer and industrial equipment manufacturers and suppliers in cases involving traumatic injuries. The defense of a national cellular service provider in a patent infringement claim regarding cellular transmission technology. The defense of an international manufacturer of electronics in a patent infringement claim regarding video technology. The defense of a manufacturer of cutting and shaving devices in a patent infringement claim regarding edge development technology. The representation of individuals who have sustained personal injury or business damages, with several verdicts and settlements exceeding $1 million. Trial counsel for an individual and his business in an action against an international insurance company resulting in a verdict for fraud and breach of contract in excess of $33 million. The representation, with Mr. Tull of the firm, of an individual and his business in a lender liability action resulting in a verdict in excess of $10 million. Lead trial counsel for a family in a breach of fiduciary duty, breach of contract, and fraud action resulting in a verdict of $1,344,000. Member and National Board Representative, American Board of Trial Advocates; Fellow, American College of Trial Lawyers; Fellow, International Academy of Trial Lawyers; Member, Products Liability Advisory Council; Charter Fellow, Litigation Counsel of America; Fellow, American Bar Foundation; Member, International Association of Defense Counsel; Member, Arkansas Association of Defense Counsel; Member, Defense Research Institute; Member, American Bar Association, Arkansas Bar Association, Arkansas Bar Foundation, and Pulaski County Bar Association. Mr. Quattlebaum has held leadership positions in many of these organizations.